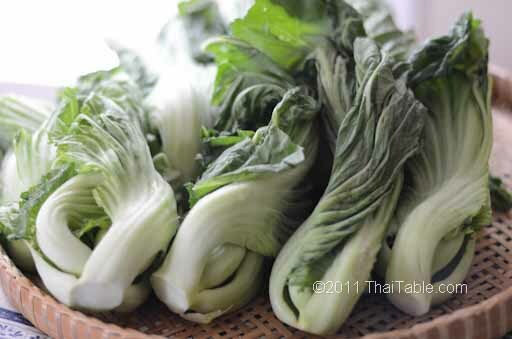 Mustard greens (pak gahd kiew in Thai or gai choy in Chinese) are available at most Asian markets and farmers markets. In Thailand, these are winter vegetables. In the US, they are available in summer and Fall. Toward the end of fall, they get really large as the air gets colder. Every summer and fall, I get mustard greens from farmers markets and pickle them for months to come. In winter, I rely on the Asian markets to supply them.